Inspect Shingles. Inspect the shingles once every few months to make sure the shingles are in good condition. Check after heavy storms that have high winds or flying debris. Cracked shingles or shingles that have started to lift at the corners should be repaired by a NJ roofer as soon as possible. Keep an Eye Out for Leaks. Check for leaks in the spring and fall, and keep an eye out for strong storms. It’s important to catch leaks before they become major problems. Go into the attic and look for water lines or streaks. Most commonly they will appear around seams or in areas of the roof that have sustained some type of damage. Clean the Gutters. Cleaning the gutters will prevent debris from collecting along the edges of the roof, weakening the shingles and causing them to crack or break. If gutters are allowed to collect excessive amounts of debris, moisture may collect near the edges of the roof and work its way under the shingles, causing water damage and leaks which would need the attention of a NJ roofer. Remove any Debris. Remove any debris that may find its way on to the roof after a storm or high winds. 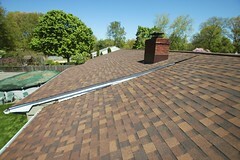 Large sticks and other types of debris can damage the shingles causing them to crack or split. Even small pieces of debris can cause damage if allowed to remain in corners and seams. Make Minor Repairs as Needed. Make repairs as they are needed to prevent shingles from lifting or becoming more severely damaged. 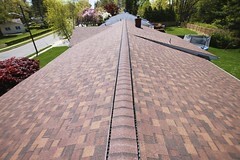 Catching problems early and having your NJ roofer is the safest way to keep your roof in the best condition possible. 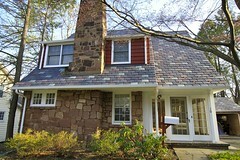 Looking for an Expert NJ Roofer? Biondo Contracting is a NJ roofer that offers roof replacement services, roof installation services, roof repairs, siding services, and many other roof services to the Central NJ area. They service towns such as East Brunswick, Livingston, Short Hills, Point Pleasant, South Brunswick, Hillsborough, Bernardsville, Bridgewater, Green Brook, Madison, Somerset, Millburn, Bay Head, Springfield, Manalapan, North Brunswick, and many more. 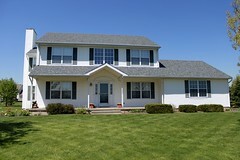 For more information on this expert NJ roofing contractor and it’s services, or for a free roofing estimate, call Biondo Contracting today at (732)257-2926 or visit the website.